The gate was named after the pole star or Dhruv Tara. It is the northernmost gate of the walled city which is now known as the Zorawar Singh Gate/ Darwaza. The name has a meaning of Moon Gate. Through the east-west axis of the city, this one is diagrammatically just opposite to Suraj Pol and forms the western gate of the walled city. You can find the famous and ancient Chandpol Hanuman Ji Temple with its 25 feet high Shikhar adjoining the gate. The name itself suggests the Sun Gate which is the gate to the east side of the walled city, towards the eastern hills in the direction of the rising sun. Forming a gateway to the famous sun temple constructed by Sawai Jai Singh and further towards Galta Ji. This gate can be easily identified by the symbol of the sun painted on the gate. The very first of the 4 southern gates and the name suggest would command the western road towards the Ajmer district near Jaipur. Along with this, the gate would take you inside the city towards Kishan pol bazaar. The market is especially known for its tie & dye fabrics. Settled on the southern end of the Chaura Rasta, this one is the 2ndgate of the southern rampart. The name suggests a meaning “New Gate”. Naya Pol was earlier known as the chor Darwaza and later increases itself in size by Sawai Ram Singh II. This road connects to the Tripolia gate of City Palace. You can see Albert Hall through the Darwaza and you will be able to understand the location. 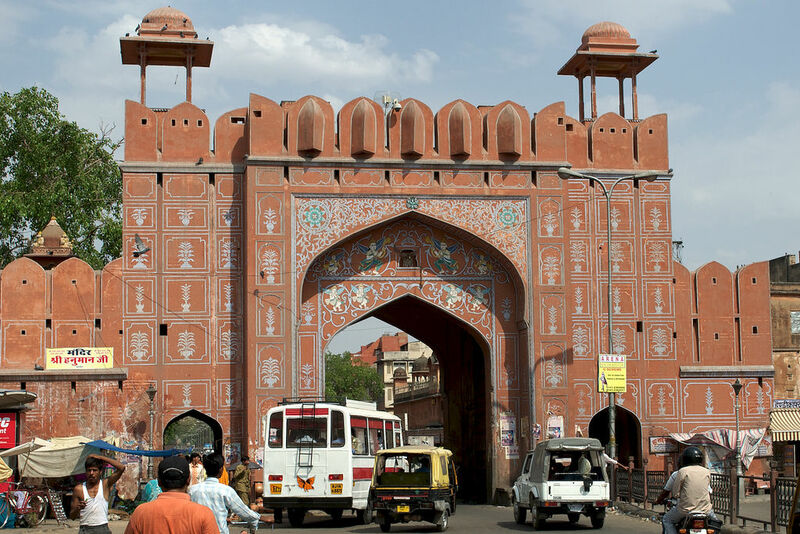 One of the 3rd gateways, Sanganeri Gate is located in the southern ramparts of Jaipur’s walled city. Shiv pol has governed the southwards route towards the Sanganer town. The gate was named as Shiv pol after the Shivmandir which the royal family would visit during the Mahashivratri festival. This is the last one of 4 gates, the Ghat pol was named after the eastern road towards the Ghat Ki Ghuni. Inside the city, there is a road that links the Ramchandra Ji Chowkri and Ramganj Bazaar, thus it is also known as Ram Pol. Moreover, there are many other small gates spread across the city such as Char Darwaza, Ganga pol, Chanpori pol, Ganesh Pol, Tripolia, Naqqarwala, Samrat pol, etc but all these are the internal gates having a story of their own. 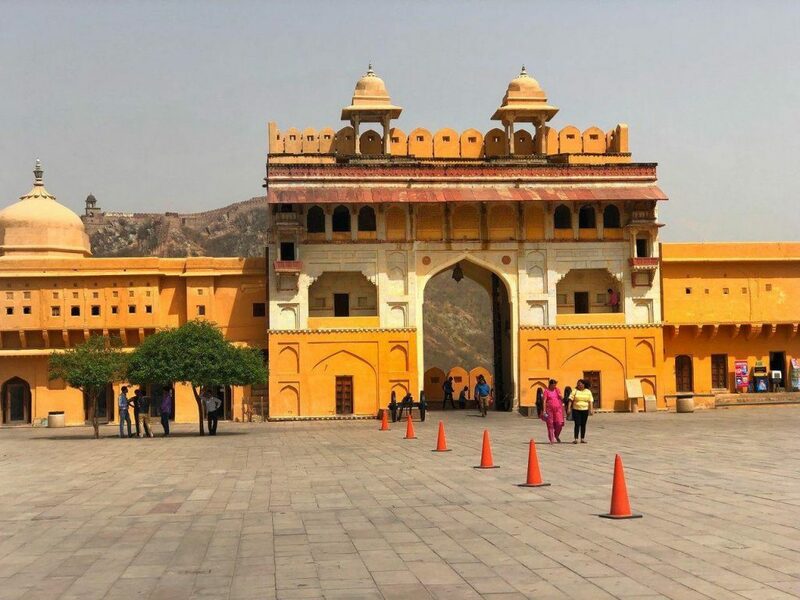 While on a Jaipur sightseeing tour, you will be able to come across these gigantic gateways and with the above information you will easily understand the location where you are. Most of the tourists who explore the city in their Golden Triangle Tourget confused among the various gates in the walled city, but the above information will help you to get a perfect guide. The triangle route ends in Jaipur from Delhi and Agra and this will be the best introduction of Indian culture and heritage. So, explore these 7 gates of Jaipur in your Delhi Agra Jaipur tour package and discover the enriched beauty of Jaipur.